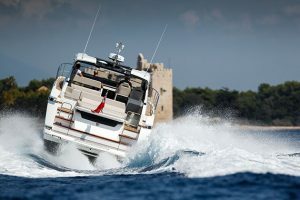 The Cranchi Z35 is Cranchi going back to its core and doing it very well. 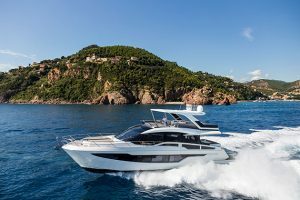 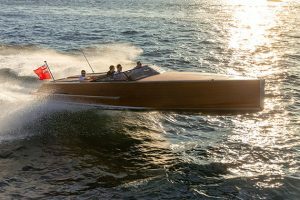 The Italian yard is at its best when it’s building boats that centre on fun in the sun with a decent turn of pace, fun handling and a dash of quality. 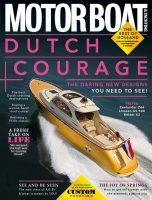 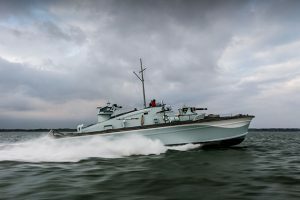 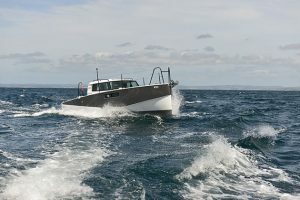 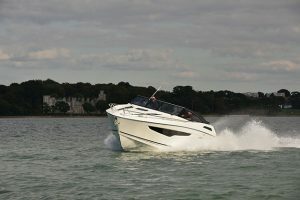 The Z35 is all about its cockpit, which, due there being no sidedecks, stretches fully to the boat’s 11ft 6in (3.49m) beam. 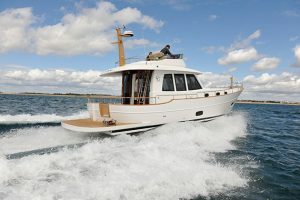 To counter that access to the foredeck is via three steps up the middle of the dashboard and through the windscreen. 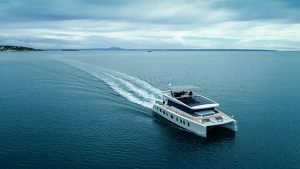 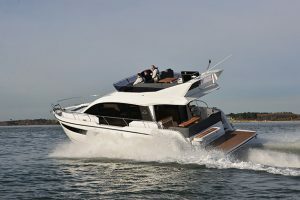 The width of the cockpit makes for a very spacious alfresco entertaining area with a huge C-shaped dinette and wet-bar being the focal point and a smaller wrap of seating forward – adjacent to the helm – for passengers to sit when the boat is moving. 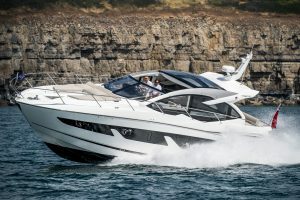 Despite its cockpit-focused design there is still space for two good cabins down below and a good-sized day heads. 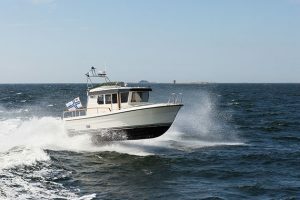 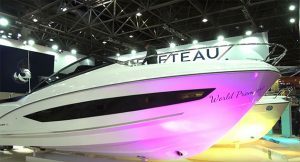 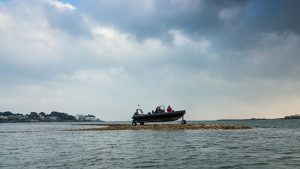 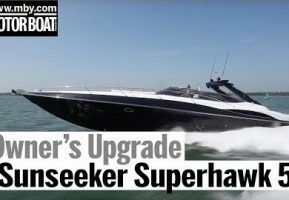 Twin Volvo Penta D4 260s on sterndrives complete the package and should make for a top speed of 34 knots.